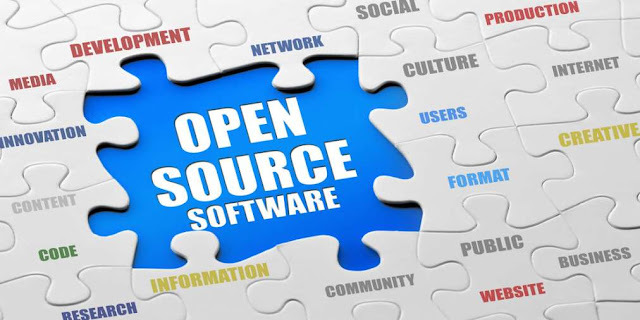 According to OpenSource.org, Open source software is software that can be freely used, changed and shared (in modified or unmodified form) by anyone. Open source software is made by many people and distributed under licenses that comply with the Open Source Definition. Hence, the products built on open source software are low on cost and can be customized easily. By open sourcing software, different people are able to come together and collaborate to improve it. Open source software (OSS) has been around for a while now. GNU/Linux, kernel based operating systems like Ubuntu, Fedora, RHEL and Linux Mint are some good examples, while even the operating system on Android phones is Linux based. From the business perspective, OSS offers many different benefits compared to proprietary software. With OSS, individuals or organizations do not have to pay for any software licenses. If they are tech savvy enough, they can download, use and modify OSS, or else, they only pay for what the service providers charge to do the same. The important difference here is that the users are effectively co-developers, who can suggest different improvements to the software, help in fixing bugs or even get into the source code and modify it according to their needs. All this might make the software even better, and benefit many others when it is shared. There is a vast difference between software which you can get for zero cost and software which gives you the freedom to use it the way you want to. You cannot look into the source code of the free software (zero cost software or pirated software that is distributed freely), but you have access to the source code of open source software. Open sourcing software has its own advantages. From a users perspective, the obvious advantage is the software being freely available; for developers or programmers, the benefit is getting access to the source code to do whatever they want. Today, big names like Google, Facebook, Intel, Samsung, Red Hat, Canonical, Cisco, Yahoo, etc, are promoting and contributing to open source activities. It all started with the frustration of not being able to tweak the software we used. In the early 1980s, Richard Stallman, a computer programmer and hacker, and a few others were not allowed to modify the code of a newly installed laser printer at AI Labs, where they worked. Stallman had modified the source code of the labs previously installed printer so that it sent electronic notifications to the user when its printing job was completed. Stallman wanted to add the same functionality to the newly installed printer but was prevented from doing so. This and a few other similar events triggered the birth of open source software. Today, in this rapidly developing digital era, open source software plays a very important role. Well known OSS include the Linux kernel; the well-known browser, Mozilla; the Apache Web server that powers most of the worlds websites; OpenSSL, a project that keeps the Internet secure and is used by most organizations and governments; GnuPG, which is encryption software used by most organizations to secure emails and files; and NTP (Network Time Protocol), which synchronises the time of all machines over the Internet. There is also the very well known and widely used open cloud software, OpenStack… and the list goes on and on! Organisations like the Linux Foundation, which supports the development of the Linux kernel as well as other open source projects; and the Apache Software Foundation, which backs the development of the Apache Web server software and other such projects, are examples of how successful and widespread the OSS ideology has become. The power of collaboration that the OSS ideology has unleashed is best demonstrated by the Linux kernel, which is developed and maintained by the community. The reason the Linux kernel is being used in the palm-sized Rasberry Pi computers, in supercomputers that power space stations, in cars as well as submarines that dive deep into the sea, is because people from around the world collaborate and add patches to the kernel, which enables it to support such diverse hardware. If Linus Torvalds, the creator of Linux, had felt like keeping his project to himself, he would have ended up founding another Microsoft, and the world as we know it would have never been the same. So definitely, the future is open! Let’s assume you find some open source software and start using it. Then you stumble across a bug, or you would like to add a new feature to it, so you contact the development team. If its a bug you've found, you submit it to a bug tracker. If its a new feature or patch that you'd like to add, and if the team likes your idea, you might be asked to write the patch yourself!. If it is an easy task, then you can yourself modify the code, do some tests and submit the patch. If the team accepts the patch and applies it, then you are happy that your contribution makes the software even better. But what if youve created amazing software and want to open source it. Again, it is simple. You create a zip of your code and publish it on one of the open source software hosting sites like GitHub at github.com, SourceForge atsourceforge.net, Google Code at code.google.com, Gitorious at gitorious.org, and many more. Once your project is out there, people will come across it, and start collaborating. So the development of OSS happens collaboratively. So who’s building products on top of OSS? The answer is – almost everyone! The tech giant, Google, has contributed over 20 million lines of code from over 900 open source projects. The best example is Android, which is a software stack for mobile devices that is based on Linux. Chromium is Google’s Web browser, Ganeti is a cluster virtual server management software, Gerrit is a Web-based code review system, Go is a programming language, apart from many more. Other big players like Red Hat, Intel and Canonical are not behind. Red Hats community-driven Linux based operating systems, CentOS and Fedora, are very popular. Red Hat also has its own community-driven version of OpenStack RDO and JBoss Developer, which is an application server that is open source. Intel also plays a big role in the open source world. Its Yocto Project is an initiative in developing a shared development environment and tools for embedded developers. Ubuntu, one of the worlds most popular and widely used operating systems, is developed by Canonical, which has been developing a wide range of open source software like Juju  which is a service orchestration tool for the management and installation of cloud applications. MAAS (Metal-as-a-Service) is another innovative project that helps to manage physical servers and the cloud. Believe me, this magazine will not be able to cover all the open source projects that are currently being developed out there! India, being the worlds largest outsourcing destination for software services and products, also has companies that are keen on OSS development. A good example is the ESDS Software Solution (esds.co.in), where employees are constantly encouraged to innovate and contribute to the open source community in every way possible. Its products eNlight, eMagic, and MtvScan are based on open source technologies. eNlight is an intelligent and highly scalable cloud orchestration software that has OSS in its roots. It has the capability to manage virtual machines running on different hypervisors like Xen Server and HyperV. Unlike other cloud management software, eNlight intelligently scales the resources of a virtual machine, on the go, which reduces costs to a large extent. A feature of eNlight is that you pay for what you consume, i.e., you have to pay for CPU, RAM, and bandwidth only when the VM uses it! Since different businesses have different needs, customized cloud solutions like eNlight offer dynamic resource provisioning and scheduling. eNlight can also be deployed as a private cloud solution, which supports a wide range of hypervisors like VMware, KVM, Xen Libvirt, apart from Xen Server and HyperV. Magic is another innovative, in-house developed data center management software. It is a Web-based system that is widely used for IT asset management, device deployment, and comprehensive server monitoring and network management in data centers. eMagic operates on a three-click concept build, deploy and manage. Its auto-discovery feature helps customers to discover all the devices in a network and deploy them. With the three-click concept, devices of multiple data centers across multiple geo-locations can be managed easily. Support for heterogeneous hypervisors for VM management makes it unique, along with wide traditional features like IP SLA monitoring, NetFlow, alerts, reports, and application monitoring. A change management system, incident management system and problem management system are other enterprise features of eMagic. MtvScan is an aggressive website security scanner that secures websites. It works on websites based on different frameworks like WordPress, Joomla, etc. It thoroughly scans for different vulnerabilities that might be present and notifies the developer accordingly. MtvScan provides automatic CMS scanning and agent-based server-side scanning. It proactively scans for malware, Trojans, security threats, infections, and botnets. MtvScan also provides specialized defenses against zero-day exploits, advisory security patches, etc. OSS has changed the way we operate in the digital world. More and more people are being attracted by its collaborative culture. As in freedom of speech, we have inherited the freedom to use the software. And this is going to go a long way!